Having hit Lumpy’s Landing in Dundee that late August afternoon, we cruised to Lincoln City for a brewski at the wonderful Old Oregon Saloon (see previous post), the three Beerchasers (Dave, Don and Steve) then drove a few miles down Highway 101 to the Rusty Truck Brewery in what used to be the City of Taft. 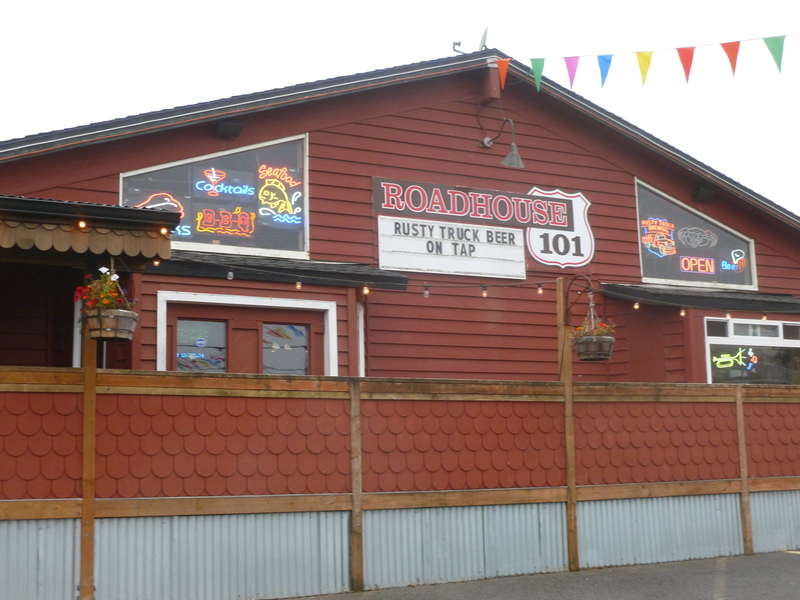 The brewery is ensconced in a nice pub called Road House 101 for obvious reasons. 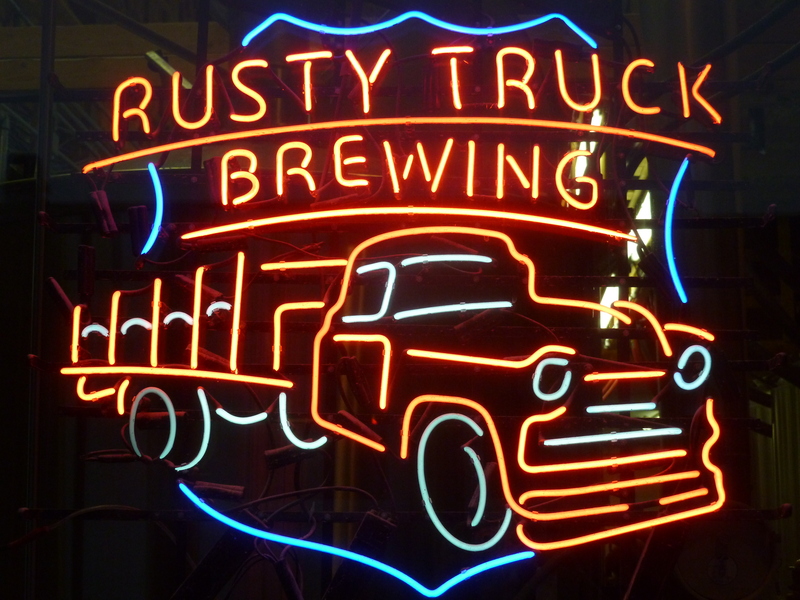 They brew a number of good beers – although no Pilsners – and we each tried a different one of their ten brews – Moonlight Ride Blackberry Ale, Fender Bender Amber Ale and the Rusty Truck Beach Blond Ale. Since each was very good, in retrospect, perhaps we should have gone with the sampler and added three more for only $8. 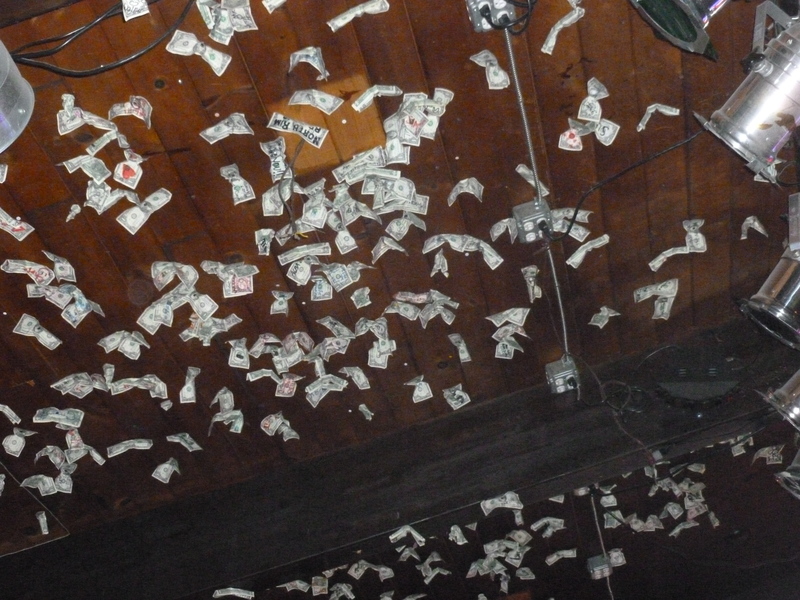 One is struck by the scads of dollar bills on the ceiling through the entire place. 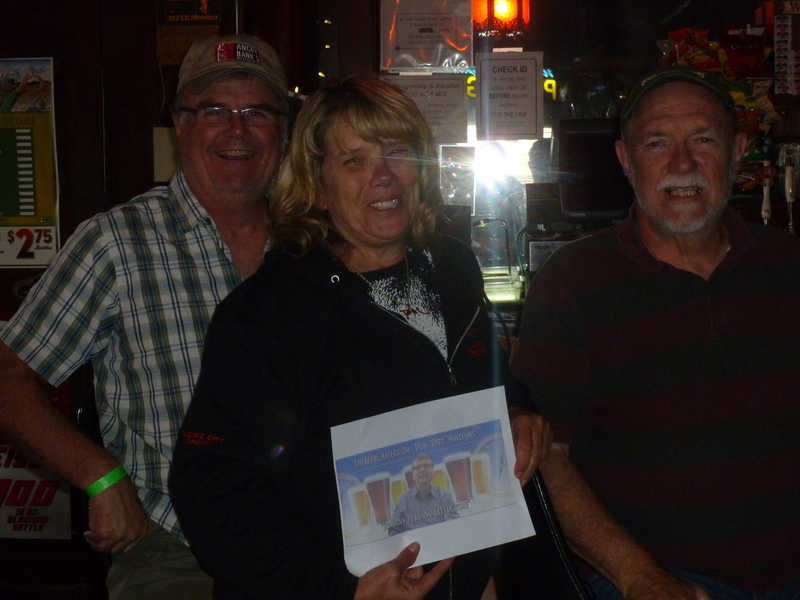 Our bartender told us that Brian Whitehead, the owner, since 2005, has supported theTaft High School Booster Club programs with $300 to $500 per year with this upward bound currency. We ate some delicious onion rings, burgers and fish and chips and ended our first day. 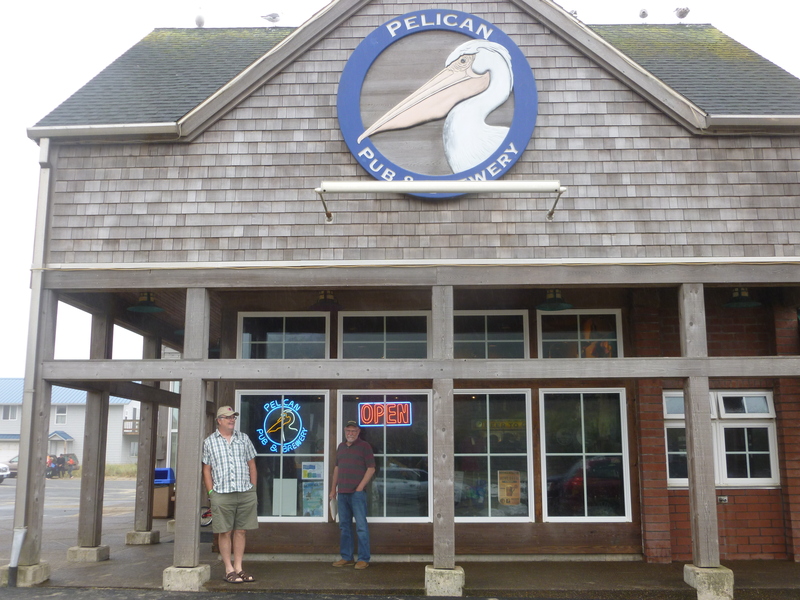 The next morning, we headed out early, driving North to Pacific City to the Pelican Pub and Brewery. 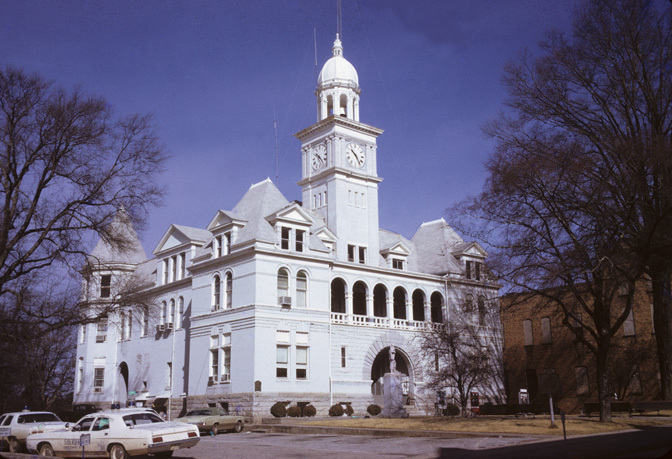 The smell of the salty ocean air mixed with malt, barley and hops from the brewery reminded Steve of the aroma of the county fair in Elbert County, Georgia (home of the Blue Devils) on the Atlantic coast even though he had never been there. But sitting at the bar talking to Rachael, the Assistant Manager, we found out that they had run out of syrup for their Winema Wit Beer. We decided not to take a chance on other brews, so at 10:50, Steve ordered a Surfer Summer Ale, Dave, a Tsunami Stout and I toasted them with a MacPelican’s Scottish Ale. 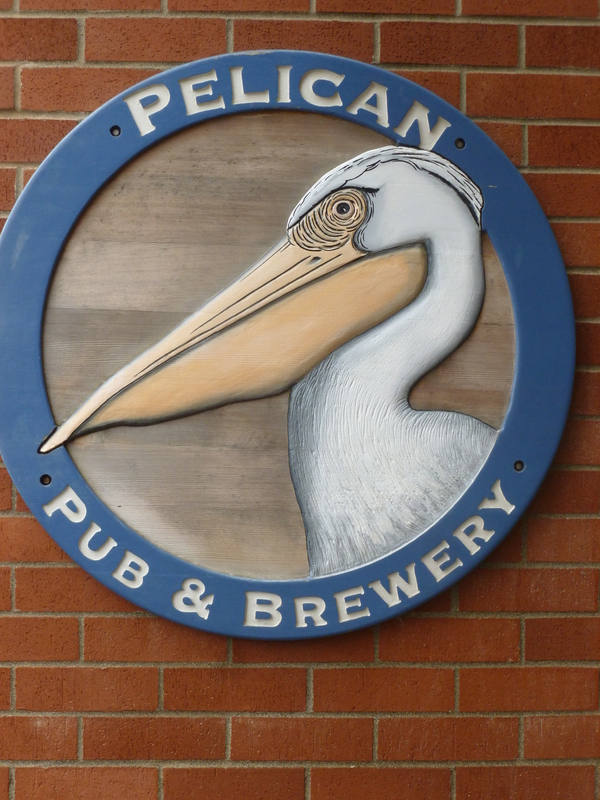 The Pelican Pub also has excellent food and brews six different “core” beers and a number of specialty brews including the award-winning Stormwatcher’s Winterfest. 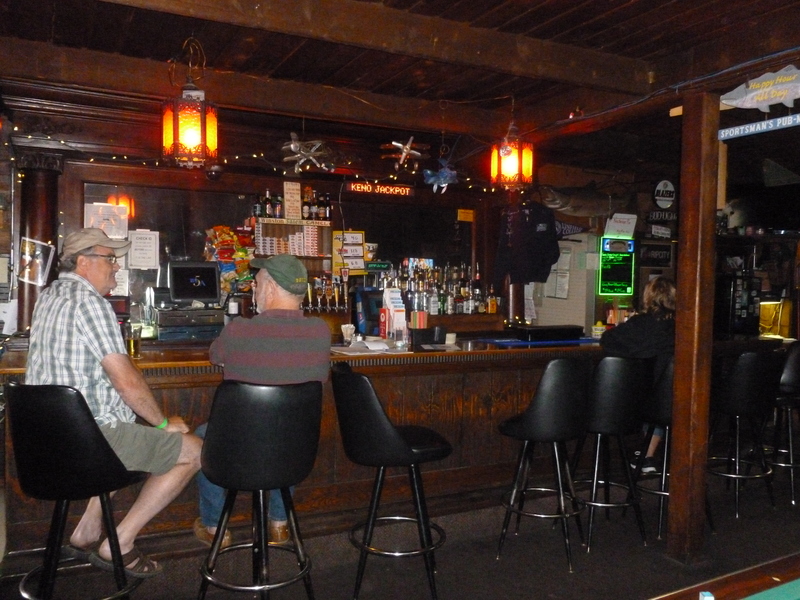 Now Pacific City is a small burg with quite a history in the Oregon fishing and timber industries, both of which generated patrons for its watering holes. 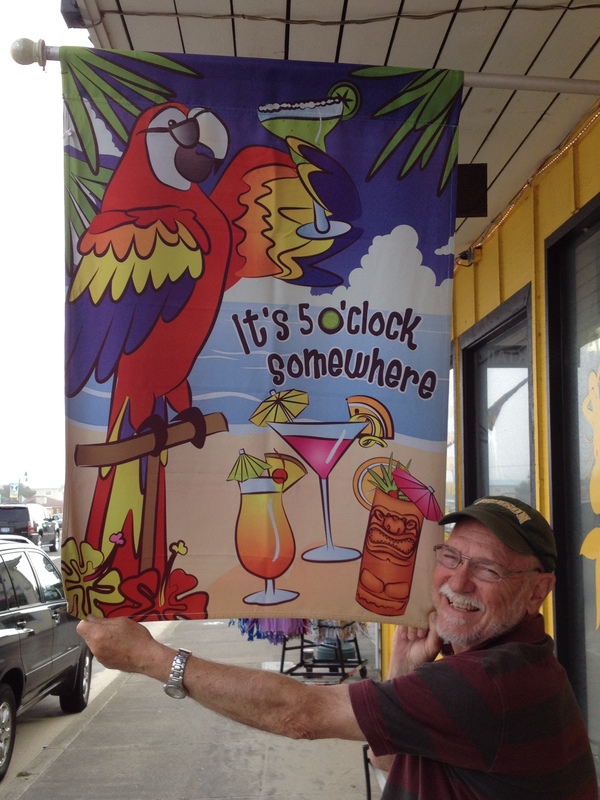 Matt Love – a high school teacher, author and columnist – who now lives in Astoria – for two decades, reviewed coastal bars in his wonderful blog, Letitpour.net. 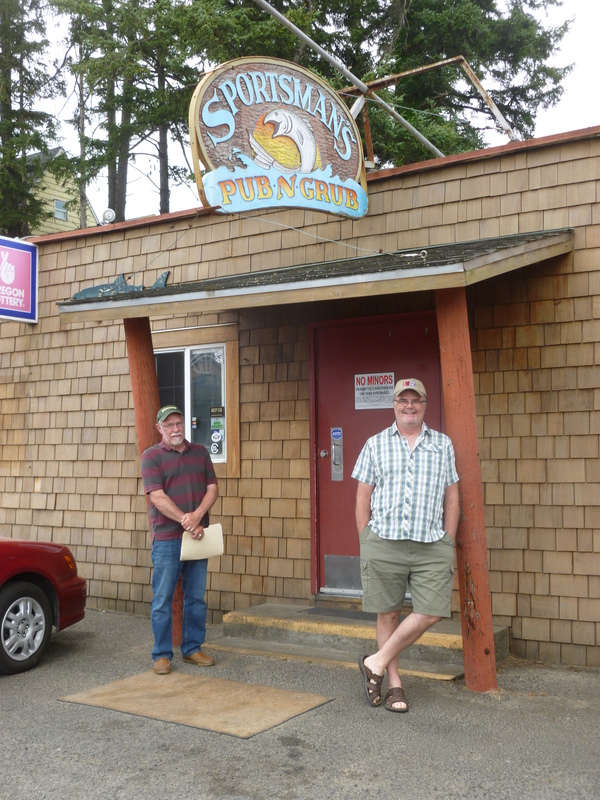 Although he discontinued the endeavor in the mid 1990’s he reviewed one old Pacific City establishment – the Tidewater Lounge – overlooking the Nestucca River. 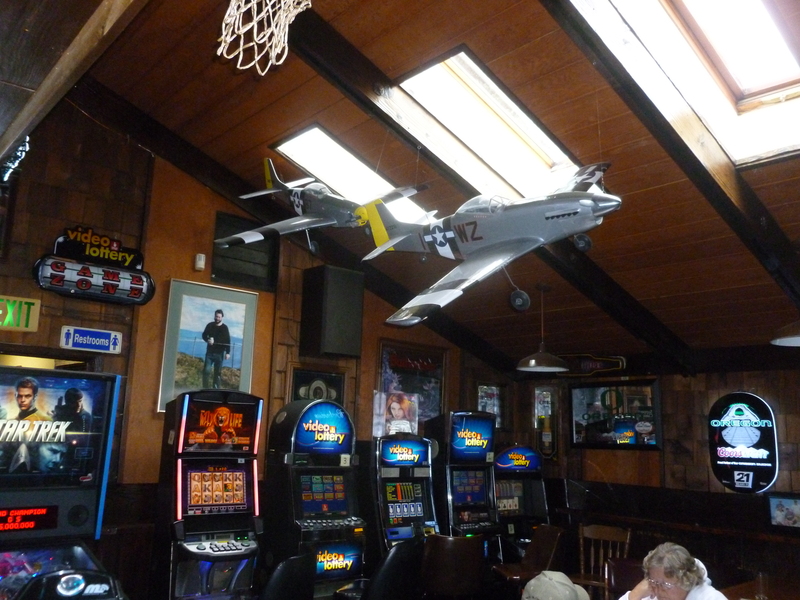 We had one quick beer at the Oar House and then found a bar that emphatically retains its historical character – The Sportsman Pub and Grub. And we talked to a woman working on an i-Pad at the bar who told us she had previously been a bouncer in Bozeman, drove semis for a living, has a graduate degree in math at Oregon State and whose drink-of-choice is Pendleton Whiskey. None of this could be verified, but she typified the mix of Sportsman patrons. Dave, Steve and a math major…. 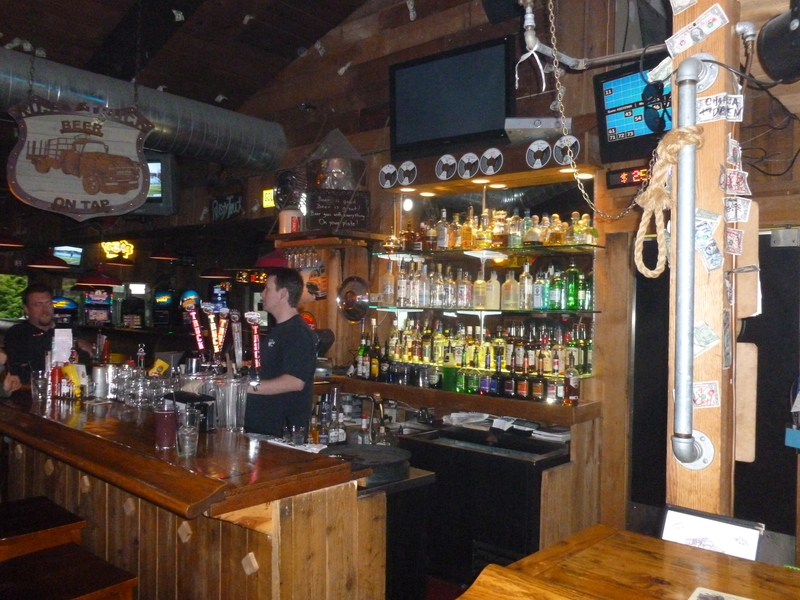 “Located near the only traffic signal in Pacific City, the Sportsman is the sort of American hangout that must make effete Frenchmen shudder: pool, video poker, darts, ESPN, ESPN 2, an ATM machine, cheap Midwest lagers, cheaper Pacific Northwest lagers,…..expensive micro-brews, and hearty, delicious menu items, including some rugged pizzas that undoubtedly fuel bodies for launching the local dory fleet or clear-cutting the nearby hills……. 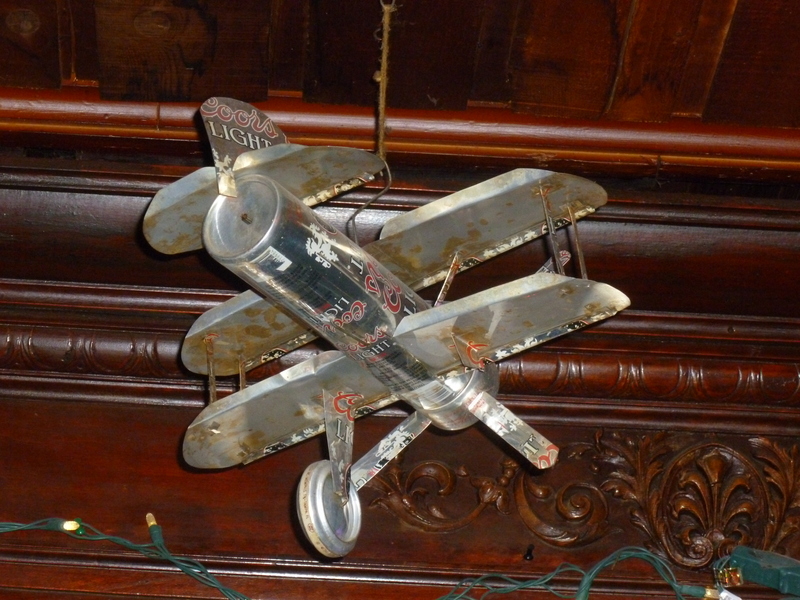 And Matt didn’t even mention the model bi-plane – made out of Coors Light cans which rivaled the real items in the Evergreen Aviation and Space Museum in McMinnville that we visited on the way to the coast. “So the story goes, a veteran patron requested that upon his death, he wanted his wake held in the tavern. Well, the old timer dies, he was cremated, and of course the management obliged him. 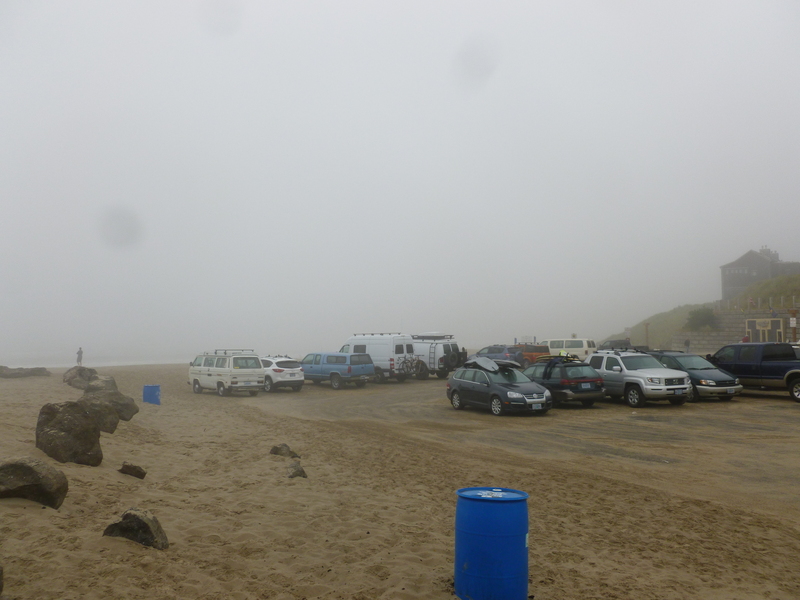 We headed back to Lincoln City for our final bar visit that day – The Cruise Inn – a Lincoln City dive bar. 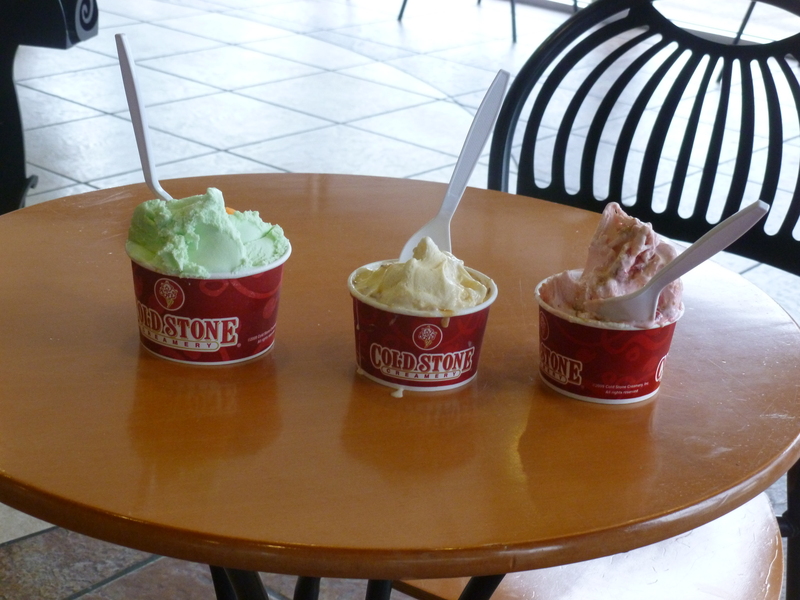 But that was after a stop at the Lincoln City Cold Stone and our mid-afternoon dessert. 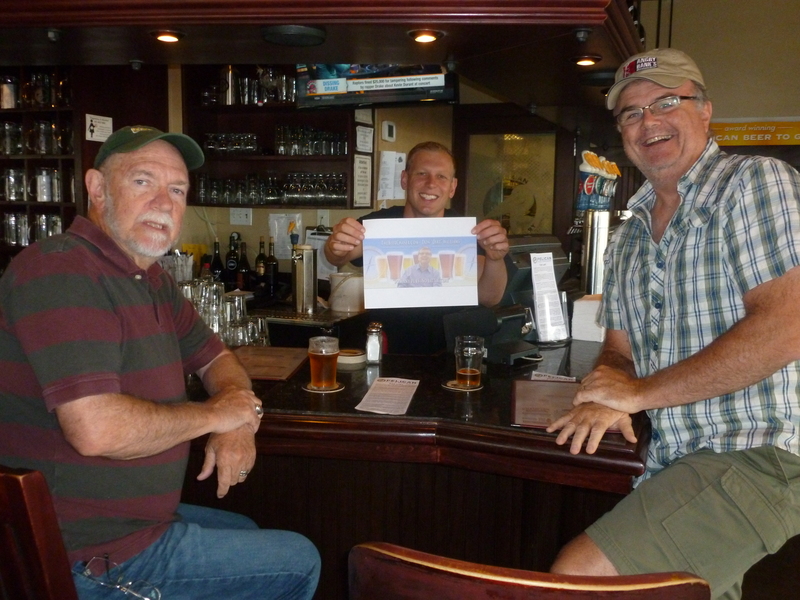 This entry was posted in Bars Outside of Portland, Uncategorized and tagged aquavit, Cruise Inn Lincoln City, Evergreen Aviation and Space Museum, Fender Bender Amber Ale, Lumpy's Landing, MacPelican Scottish Ale, Matt Love Let it Pour Blog, Naesti Bar Reykjavik, Oar House Bar and Grill, Old Oregon Saloon, Pelican Pub and Brewery, Pendleton Whiskey, Road House 101, Rusty Truck Brewery, Sportsman Pub and Grub, Tidewater Lounge Pacific City, Winema Wit Beer by thebeerchaser. Bookmark the permalink. 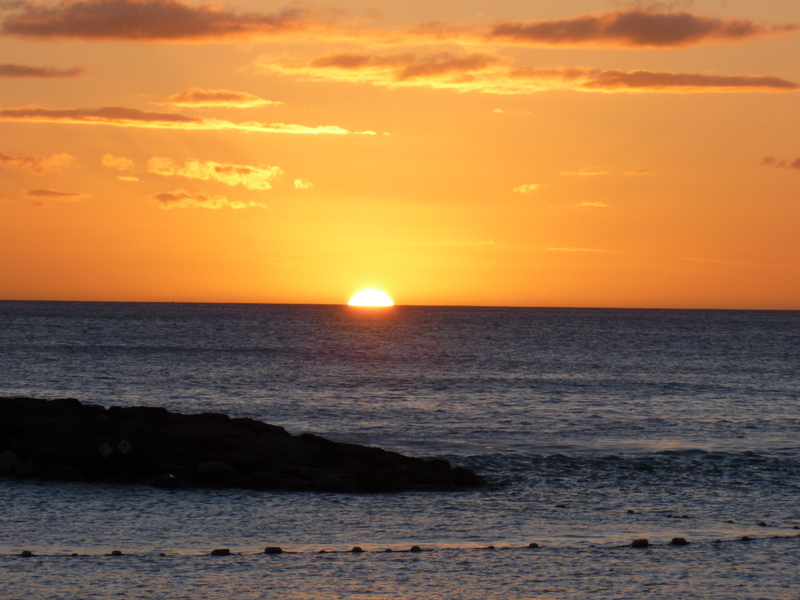 On the day the world ends, there are a number of ideal places to celebrate the snuffing of our collective candle. Once again, you have identified a few of those…with (thank God!) more to come. The short lists grows longer. Yes, I can’t think of a better place to be when the ultimate meteor hits the planet than my favorite neighborhood bar, drinking a PBR and talking about the Giant Killers with a bro who is also a Beerchaser of the Quarter. The problem will be finding the “favorite”. 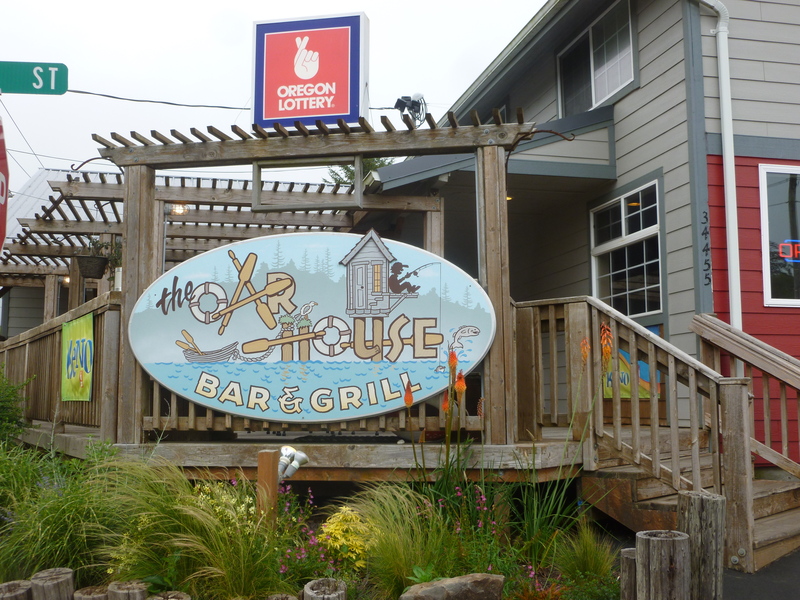 My list of these establishments keeps growing larger and now goes beyond Portland to Eastern Oregon, the Oregon Coast, Alaska, Colorado and Amsterdam. A dilemma worth contemplating….. 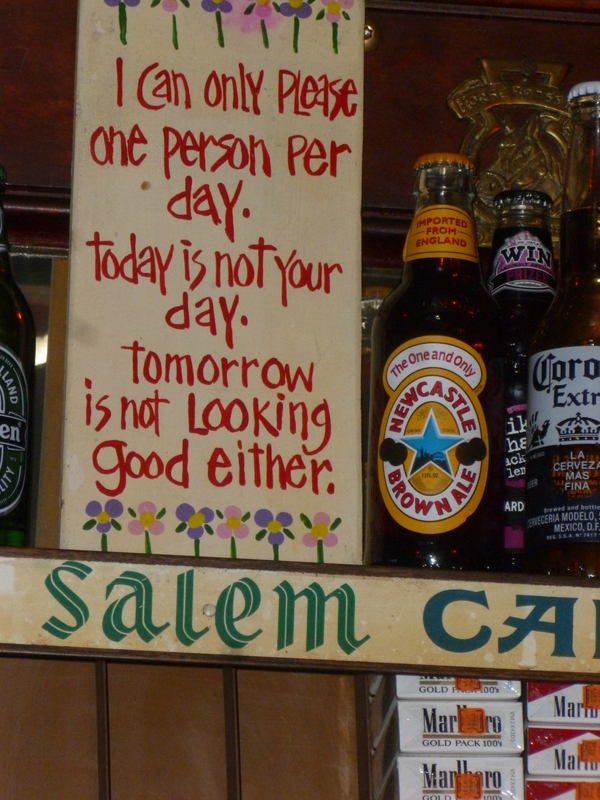 Slim pickings around my temporary locale, but have heard good things about ‘Bout Time Pub and Grub just down the road from me…I think the beer’s watered down in this state, so please don’t let the end come before I can escape to a better place. Scenery isn’t everything, you know!